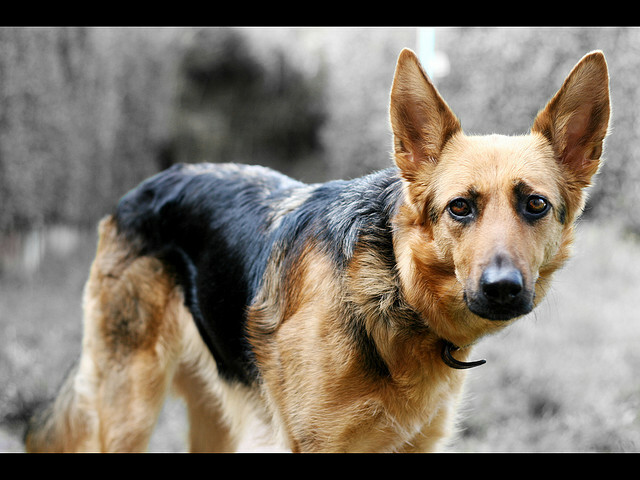 Indeed, her 18-month-old Shepherd was telling me in every line of his body that he did not want me anywhere near him. Head down, eyes wide and staring, muscles tense, and softly growling, he was not a dog I had any desire to approach. He was not, however, “guarding” his owner.